Well, if BC decides the election, then Obama is a shoe in because Catholic women use birth control, despite the bishops. I changed the name of the newsletter again because at this point even “pro-choice” folks know abortion is murder and not even proifers know “contraception” is too – and causes hundreds of times the number of deaths, and leads directly to the killing of the older people. Embryocide led to feticide, which led to infanticide (something Obama supported, by the way), which is leading to euthanasia (senicide) and will soon lead to other forms of legal homocide — uxoricide, parricide, modernicide, ambicide, sorocide, etc. When the stronger are permitted to kill the weaker because they are Irish, or Africans, or Jews, or young, or old, or sick, or of a different religion, then civilians have turned into barbarians. We are now a nation of barbarians. Sure Pat’s right, and that’s why we Catholics are mostly to blame for this on-going modern horror. You are right, Catholics have a long history of being a murderous institution, and and a center to disseminate bigotry and rascicm. 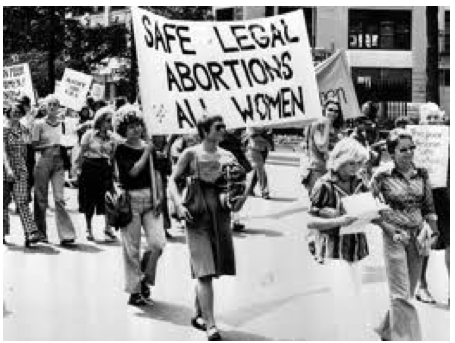 12) Present day Wars on women and contraception. Shall I go on, or is that enough? In the Present day the Catholic Institution is mostly focused on Misogyny. At different periods in their millennial history they have focused on the different Evils of Bigotry, Racism, and Misogyny. Now they even seem to support Theocracy building in America. Example – not wanting Kerry to receive communion for his beliefs. Or disallowing speakers at college commencements that have slight teachings with Church doctrine. The Catholic Institution has never had a reasonable period of time when it was not engaged in some of the major evils that plague society, although, agreeably the type of evil morphs with the generation. Do you disagree they have a fairly Misogynistic stance in this very resent day? that is enough, but will you please cite your sources for each of the above claims? The Catholics as an institution have had a pretty horrendous record over time. If people do not want to be associated with the horrors of the Catholic Church they should choose a less murderous institution. Just like if you want to be a Nazi today, you are not going to have a lot of people viewing you favorably. The Catholic Church did almost nothing as Part of the Axis of Evil in WWII. Pope Pius was an absolute disgrace as a human being. The vast majority of Catholics did Nothing to help their Jewish friends during WWII. Neither, Ira, did the protestants, the episcopalians and so many other religions. Indeed, the whole friggin USA did nothing to help the Jews…. Catholics were not purely unique in their bigotry and hate crimes. But they had a hierarchy that rivaled no other. And it was a matter of decree. Look at the Antisemitism in the multiple New Testament Gospels. Taken on their word literally by the Pope. I agree. I looked at New Testament Gospels and they are filled with Anti semitism. They are all pretty sick, but I think the Catholics have the worst record . . . maybe only because it is longer . . .
the zionists did nothing either. indeed, ben-gurion refused to send resources to help the european jews being slaughtered in the holocaust. Historically the Zionists worked very hard. Israel was not formed till 1948, so as an entity it did not exist during WWII. They had very little resources anyway, as they were under constant attack, a few hundred thousand Jews, surrounded by a Billion Muslims. Many Muslims, to this very day, still want the complete annihilation of Israel. Israel the most democratic country in the middle east by leaps and bounds. With a world of Anti Semitism, what pragmatically could they do while in the midst of wars inflicted on Israel on all fronts, and no ability to project military power. The horrific slaughter of innocent Jews by terrorists continues at this very moment, and for over 5,000 years, and over a millennium by Christians. Watch it, John, you’re gonna get struck by lightening! The fact that he has not already been struck by deity inspired lightening is the best argument against the existence of a benevolent God that he believes in! I am amazed by the first sentence in this article. It never occurred to me that people that were not married could not use birth control legally! Another example of Catholic inspired American Theocratic Misogyny! It is all the crazy puritanical citizens of this country that push the politicians into focusing on birth control, when they should be focusing on our economy.